It’s been an interesting year for the set-top box (STB). 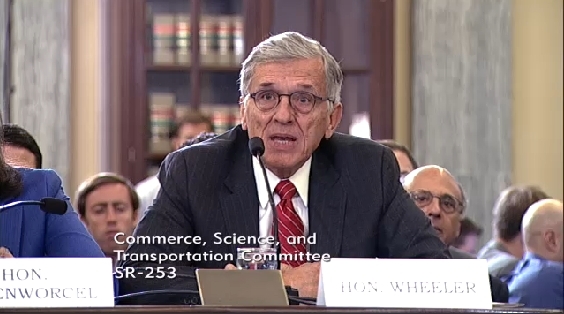 In January, FCC Chairman Tom Wheeler released the “unlock the box” STB proposal in an effort to encourage marketplace competition. This quickly received a lot of industry attention, which was only further amplified when President Obama weighed in on it. Then, the FCC took public comment for a few months, and over the summer an alternative “ditch the box” plan was suggested by an alliance of several groups. The plan features five key points, among which include: 1) pay-tv providers will be required to offer a free app to viewers for TV content 2) this app should be available on all popular TV platforms and 3) consumers must be able to search all video services for programming. Seemingly, we are witnessing a compromise of sorts coming together, but it’s likely another plan may emerge before winter. Despite this, we are seeing many of the same names appear in the for/against column. Once again, Public Knowledge has endorsed the FCC’s plan. “With this action, the Commission could save consumers billions of dollars a year. Under the Commission's plan, consumers would be able to access their TV subscriptions on any device, and in many cases on devices they already own. In addition to saving consumers money, this action would allow consumers to access online video right alongside cable TV, in the same familiar interface. This will increase competition and innovation in the video marketplace while making it easier for programmers and creators who aren't carried by cable to get equal billing in viewers' homes … The modified approach the Chairman has described today addresses the legitimate concerns raised by these parties while preserving the benefits to the public, and fulfilling the Congressional directive that requires the FCC to ensure that viewers do not need to rent set-top boxes from their providers,” said John Bergmayer, Senior Counsel at Public Knowledge, in a statement. And Comcast is denouncing it. “The Chairman’s new proposal also violates the Communications Act and exceeds the FCC’s authority. It perpetuates many of the concerns that led hundreds of Members of Congress, content creators, diversity and civil rights organizations, labor unions, and over 300,000 individuals to object to his original flawed approach, including problems with privacy, copyright protection, content security, and innovation,” said Comcast. SAG-AFTRA, the MPAA, and many other entertainment guilds also rejected the new proposal. “By all reports, the FCC’s revised set-top box proposal fails to address concerns we have repeatedly raised. Instead, the FCC creates an unacceptable and unworkable de facto compulsory licensing regime that requires creators to allow their work to be shared across multiple platforms without compensation and without regard to the creators’ rights to exclusively control their distribution,” the creative community members said. Meanwhile, Washington, D.C. is investigating too. Today, the Senate Committee on Commerce, Science, and Transportation held a hearing involving the FCC, led by Sen. John Thune (R-S.D.). However, FCC Commissioner Michael O’Rielly came out against the plan. “The latest version adds complicated and flawed provisions to [the ‘ditch the box’ plan], effectively threatening and undermining the viability of the entire apps-based approach … it is highly unlikely that it can even be accomplished, given unlimited time and resources, let alone in two years and with the resource demands of a highly competitive industry,” O’Rielly testified. In exactly two weeks, Sept. 29, a formal vote on Wheeler’s new plan will occur. What will happen next, and how will it affect cable companies and viewers?